Mark began in the financial planning industry in 1971 with one of the nation's largest financial planning firms and throughout the years has achieved every major honor possible in the company while ultimately being promoted to Regional Vice President. Mark earned the Certified Financial Planner (CFP) designation in 1982 from the College for Financial Planning in Denver, Colorado, and is a member of the Dallas/Fort Worth Society of the Financial Planning Association. Mark was raised in Ukiah, CA, 100 miles north of San Francisco. After attending St. Francis Xavier University in Nova Scotia, Canada for two years, Mark enlisted for four years in the USAF that included a tour in Korea. Upon discharge, he finished his education at Boise State University, Idaho, receiving a bachelor's degree with a major in finance, and began his financial planning career. In 1984, he was transferred to Texas as a Regional V.P., and in 1992 Mark founded and is president of The Asset Preservation Group, Inc. an independent advisory firm specializing in Retirement, Estate and Tax Planning Strategies, and consisting of several financial planners. Several independent attorneys also share office space with them. Through consistent effort and a reputation for outstanding service, they have built a solid client base by expanding their business through lecturing at Estate, Tax and Retirement seminars and through referrals from clients. 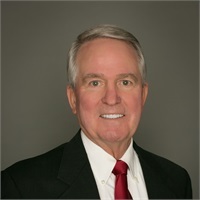 Mark currently serves on the Board of Directors for the Colleyville Executive Organization and is a past Chairman and past member of the Board of Directors for the Colleyville Area Chamber of Commerce. Mark and his wife, Pat, a former dental hygienist and currently a practicing estate planning attorney with Mark, live in Colleyville, Texas.